Just as Romania made a strong showing at last year’s Cannes Film Festival with the exceptional Sieranevada and Graduation, a few great features came from Russia at this year’s festival. Andrei Zvyaginstev went home with the fest’s Jury Prize for his outstanding film Loveless, a film that rightfully garnered much critical praise. 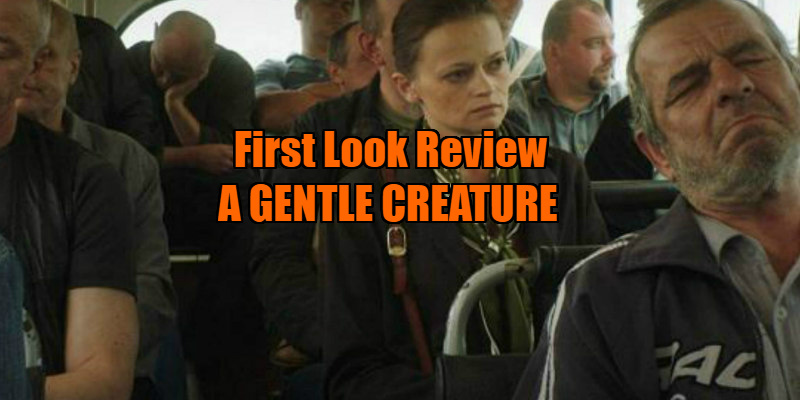 The second most important Russian film at this year’s Cannes was Sergei Loznitsa’s A Gentle Creature, a film that shares Loveless’s cold, hard spirit while telling a more abstract narrative. It may not be quite as good as Zvyaginstev’s film, but given its magisterial scope and compelling social symbolism, it comes pretty damn close. At the beginning of A Gentle Creature, an unnamed woman (Vasilina Makovtseva, giving a tour-de-force performance) receives a package; it’s the package she had previously sent to her incarcerated husband, and it has been returned to her without any explanation. This mystery galvanises Loznista’s heroine into learning the whereabouts of her unseen husband, no matter the cost. During her journey, she navigates a sinister and pessimistic terrain populated by a network of prison guards, mail clerks, pimps, prostitutes, gangsters, and social workers - all of whom ghoulishly wax philosophic on their place in Russian society, advising the mostly-silent heroine on how she should approach their shared harsh and hulking culture as well. After relating many such encounters, A Gentle Creature takes a surprising turn as reality slowly cedes to a mythical yet still sombre fantasy world that poetically meditates on the harsh realities of present-day Russia. After an hour of A Gentle Creature has passed, we realise that we are not watching a straightforward narrative on a kind of cruel hardness that flavours contemporary Russian life (as in Loveless), but rather a narrative where each character functions almost exclusively as a social symbol. A zaftig innkeeper named Zinka waits like a spider outside of the immense prison, inviting the heroine to stay with her; she’s a stand-in for those who profit off of others state-imposed misfortune. Two prison guards apprehend the silently waiting heroine outside of the prison, and they mull over how easily they could jail the heroine herself, thus representing the arbitrariness of Russian “law and order.” A social activist that the heroine turns to for help seems to embody possible desensitisation to atrocities while also representing the sheer frustration of attempts to make social progress. Each character serves as an expository little critical essay on some particular facet of an obdurate system - essays that only become more pointed when the film slides into its surreal final act. Yet though these characters often stand as representatives of various ills of an authoritarian regime, they serve a fascinating narrative function as well: they help define the character of the film’s unnamed heroine. As each character talks and talks and talks to the silent leading lady as she persists on her quixotic quest, they each carve out our understanding of her - they create her in negative space. She’s a character who resists being sucked into the depraved games of Zinka’s den of degenerates while also passing no judgement on a blousy prostitute with whom she shares a car ride. And yet, maybe the audience plays a part in creating, in sculpting this subjective character as well. As we join her on every step of her journey, we simultaneously become one of her companions, silently absorbing the lengthy tirades of her castigators, while also becoming one of the castigators, questioning each move she makes and interpreting her actions and reactions in the same way the rest of the film’s characters do. In creating a film with an unknowable character who serves as the film’s unknowable heart, Loznitsa pulls off a complicated feat: he and Makovtseva create a compelling character in a Spencerian work of political criticism who engages the audience in numerous, paradoxical ways - all of which encourage us to think critically about the film’s social questions. That all sounds complicated, but Loznitsa and his team do it with such streamlined simplicity that A Gentle Creature is ultimately lean, watchable, and profound. A Gentle Creature was originally the name of a Dostoyevsky short story, a story that was, in turn, adapted by Robert Bresson in 1969. 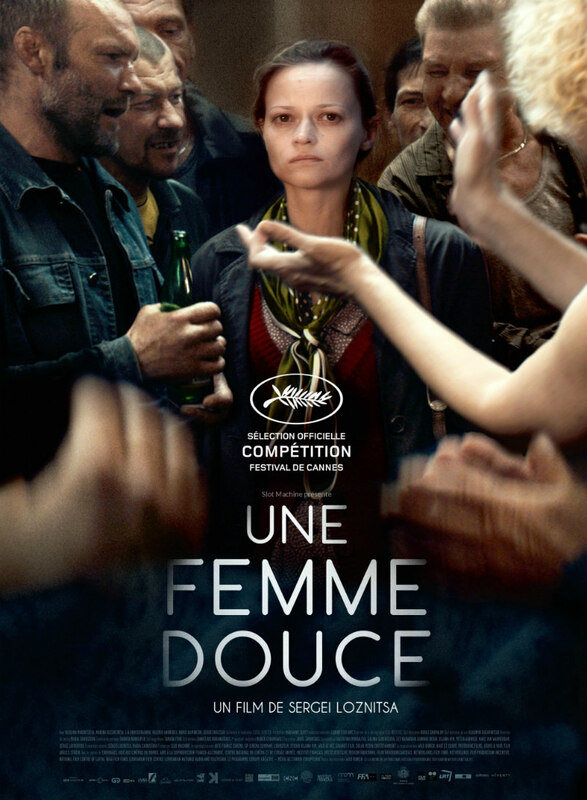 Though Loznitsa’s film treats different material, the title is not arbitrary: A Gentle Creature’s French title, Une Femme Douce, and its Russian title, Krotkaya, remain the same as Bresson’s film and Dostoyevsky’s story. Though I am by no means a Dostoyevsky expert, the Bresson influence on Loznista is perfectly clear. Makovtseva, with her stony enigmatic expression and small but sturdy frame, perfectly embodies Bresson’s idea of an “actor model” - a simple body that lets situations and interactions create a character more than a performance can. Loznista uses his “actor model” in a similar way as Bresson, especially when it comes to the exploration of pessimistic themes. But stylistically, Loznista adds to Bresson’s style by imbuing his film with a robust, rich sense of mysticism. Well before the film lets reality melt away into a fantasy world, we get the feeling that the people our heroine encounters are towering, mythological sentinels, all Cerberuses and Sphinxes, who all guard some secret that’s too terrible and unfathomable to comprehend, but that one must try to comprehend nevertheless. And all this is captured so simply in a luminous style by Loznista and the incredibly talented cinematographer Oleg Mutu (who shot 4 Months, 3 Weeks, 2 Days (2007) and The Death of Mr. Lazarescu (2005), along with other beautiful eastern European cinematic marvels). In its experimental form, its enigmatic content, its challenging ideas, and its aesthetically satisfying imagery, A Gentle Creature will be a fascinating experience for those who enjoy a classic mid-century sort of art-house filmmaking. As if the Bresson similarities were not already interesting enough, you will see traces of Hour of the Wolf (1968) among Zinka’s nearly cannibalistic tenants. You will see traces of The Exterminating Angel (1962) in the heroine’s Kafkaesque inability to find her husband. You will see traces of The Saragossa Manuscript (1965) in its dour fantasy sequence. Yet it all feels so fresh and - given Russia’s current fraught position in global politics - so relevant. Though with A Gentle Creature, Loznitsa does level fairly specific criticisms against an abusive and secretive regime in contemporary terms, the film is executed with such confidence and mystery that I imagine the hardest-core of the cinephiles will be interpreting and reflecting on this bold work for years to come. A Gentle Creature is in UK cinemas April 13th.